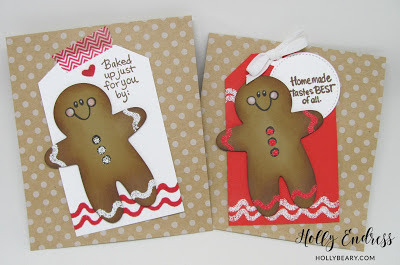 Hollybeary Creations : Gingerbread Bakers! Happy Tuesday everyone.. I'm up on the Perfect Paper Crafting Blog today. We're teaming up with Stampendous this month for some great Christmas projects. I'm using the Gingerbread Baker stamp and die set to create some fun Gift Bags. Head over to the blog for all the details. Love these tags! Thank you for sharing on the hop this week!